Since 2002, Arts Fund grants have been supporting the creative endeavours of artists and arts organizations for the benefit of citizens of the Region of Waterloo. Research into the human impact of the arts in our communities reinforces the importance of an Arts Fund grant. "While cultural participation, like leisure time, helps promote mental health, socializing and learning, our research at UW’s Canadian Index for Wellbeing indicates that Canadians are experiencing a variety of pressures in their lives that affect their ability to pursue leisure and culture activities. Fortunately, our arts organizations are bringing new ideas forward to engage members of our community and to make culture more accessible to all. I’m proud that additional funding from Regional government to the Region of Waterloo Arts Fund sends a powerful message that the arts matter for the wellbeing of our citizens." "Local funding of the arts through programs such as the Region of Waterloo Arts Fund plays an important role in supporting a community’s artists and arts organizations. And research shows that a majority of Ontarians agree that an active local art scene helps make a community a better place to live." The CSO is very grateful for the support of the Arts Fund. May I add on a personal note, that it has been a pleasure working with your organization. The Arts Fund’s support has had a significant impact on the orchestra’s ability to deliver musical programming for the benefit of the community and encourages us to believe that what we are doing is of value in making art happen in Waterloo Region. I would never in my craziest of dreams have expected the amount of personal involvement and time commitment this project required. 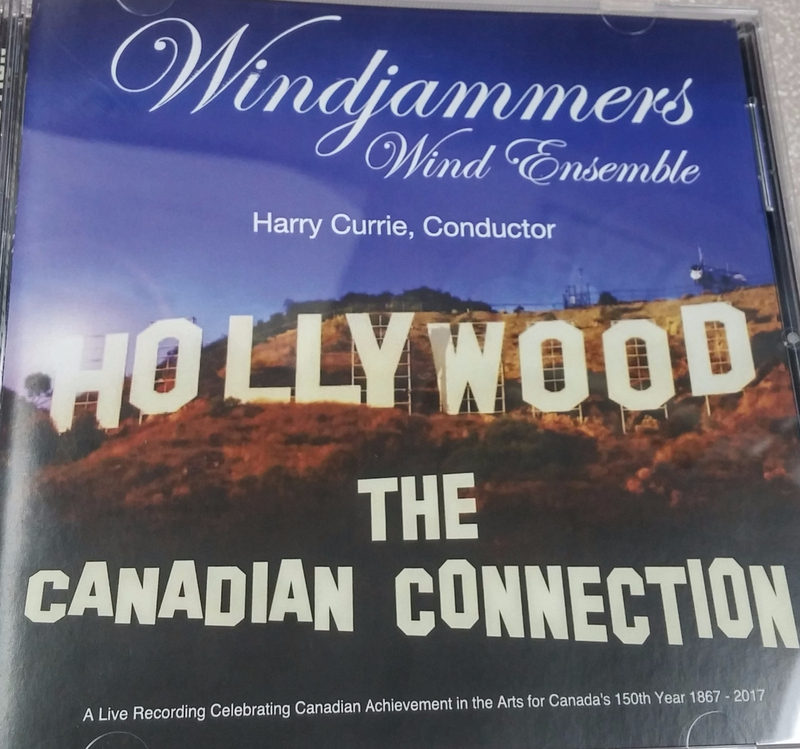 Then it all came to life when the Region of Waterloo Arts Fund granted Windjammers the funding that made a live recording possible. 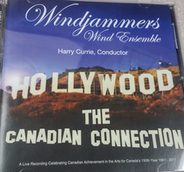 Without their financial assistance, the recording of this venture in music and entertainment by this unique ensemble would not have been possible. We owe the Region of Waterloo Arts Fund a resounding 'thank you'! My project is pretty well on target and going well. I’m expecting my book to be published within the next four weeks. it’s all very exciting. I’m so appreciative of the support through the Region of Waterloo Arts Fund grant. It really made the difference in putting together what I think is a high quality book and one that would not have had as much professional input. "The funds…allocated from the Arts Fund have been dedicated entirely towards the artist’s stipend … We thank you kindly for the generous support and for enabling us to start this residency program. 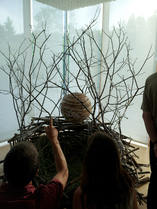 Meg Harder was the first Visual Artist to take up the two month residency at North House, and concluded her exploration and research with a presentation and exhibition in the spring of 2016. Applying for a Region of Waterloo Arts Fund grant was a true team effort for both Bernie (Rhode) and I. We spent weeks editing and organizing our application. The application itself is quite intensive. It served as an instigator for us to spend countless hours solidifying our vision in advance. It was a great affirmation for us that our project was worthy of the effort. Receiving a grant from the Arts Fund was a true honour and highlight for us. It enabled us to meet our deadlines and make art happen faster. Operators of the Jazz Room in Uptown Waterloo, the Grand River Jazz Society has been operating since 2011. With over 500 headline acts under our belt, we have paid well over half a million dollars in artist fees and have delivered street level entertainment to over 30,000 audience members. We have also leveraged government funding, which now includes roughly $10,000 from municipal support annually, $20,000 from the Ontario Arts Council, and roughly $20,000 per year from the Canadian Department of Heritage. Corporate and individual support is also well over $20,000 annually. None of this could have been possible without the early vision and support from the Arts Fund. They were the first ones in with funding and it continued for a total of three years (the limit for new arts organizations). Their support helped leverage provincial and federal money. The Jazz Room is known as one of Canada’s best jazz clubs and regularly attracts musicians of national and international reputation. Musicians from Toronto like to claim the Jazz Room as “Toronto’s best jazz venue.” Thanks Arts Fund for having early confidence in our project and helping us get off the ground. We sincerely appreciate the grant of $5,500 to help with our project: Commission Original Concert Band Music by Howard Cable. 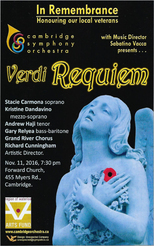 When we embarked on the challenge to commission the original works and stage the ambitious May 1st World Premiere, we could not predict the overwhelming community support and success we would achieve. The RWAF grant was instrumental in this success. We could not have completed this project without the funding from the Region of Waterloo Arts Fund and for that we are truly grateful. 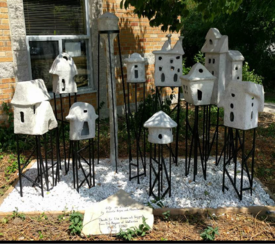 City on Stilts, miniature sculpture in ferro cement of local historic houses and neighbourhood landmarks. Highland Stirling Community Group is very proud to be the recipient of the beautiful art installation that was generously made possible by Region of Waterloo Arts Fund…We are very grateful that the Region of Waterloo Arts Fund granted Ms. Maca Suazo and Ms. Pamela Rojas of Globe Studios the opportunity to design, create and install the lovely rendition of our neighbourhoods. I am very thankful to have the Region of Waterloo Arts Fund. Not only because they assisted me in getting my project off the ground, a concert used to produce a live album, but also because they helped to show the value of a vibrant arts community by supporting such projects. Another reason I am proud of where I live. The New Quarterly received a RWAF grant in 2015 to publish a gathering of 27 essays that had appeared as part of the magazine's Falling in Love with Poetry series. The book was designed and printed locally and included 11 essays by writers with a connection to the Region. 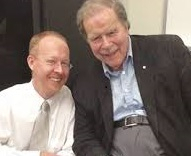 It was launched by Waterloo Unlimited, a high school enrichment program run out of the University of Waterloo, in May, 2016 in honour of the retirement of the program's Manager and poet-in-residence Rae Crossman who wrote the inaugural essay. The event attracted an audience of 100 with 25 copies sold (an unusually high percentage of sales to attendees, especially for a young audience). It will have a second outing at the Wild Writers Festival in November with four of the essayists on hand to talk about the excitements of poetry. 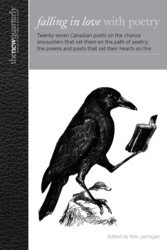 The volume has also received encomiums more widely: poet and editor Anita Lahey quotes extensively from "this wonderful collection" in her introduction to the 2016 Best Canadian Poetry. The volume will provide a small revenue stream for The New Quarterly on-going as well as serving as a subscription premium, so the economic as well as the aesthetic impact of the collection will continue. Indeed, one of the best things about RWAF's granting program is that it "Makes Art Happen" in ways that also contribute to the financial viability of local art practices and institutions and have impact outside the Region as well as in. "The generosity and financial support of the Region of Waterloo Arts Fund contributed greatly to the overwhelming success of my play "At The Crossroads" - a history meets mystery storyline during the infamous Berlin, Ontario name change of 1916 - and made it happen in this great community of Kitchener-Waterloo and surrounding area." The Laurier New Music Festival and the associated Emerging Composers’ Competition is indebted to Region of Waterloo Arts Fund for its support of these projects. Without this support, the national/international reach of the Festival and Competition would not have been possible. The winning composer, Colin Labadie, has benefitted directly from his RWAF award and has gone on to receive new commissions and accolades for his work. Many thanks to the RWAF. I would like to take this opportunity to express my sincere gratitude for the generous support provided by the Region of Waterloo Arts Fund for my project. 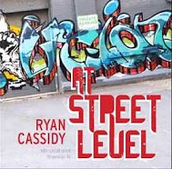 The recording and launch of At Street Level, a debut recording of original music, was a tremendous experience that allowed me to explore my musical vision and introduce a new sound to audiences in our community. Through the project, I had the opportunity to work with talented musicians and industry professionals and build a strong network for future endeavours that will further contribute to the vibrancy of our local arts community. This fund has assisted me and other artists to gain our goals and aspirations and contribute to the cultural values of this community. I get to make another album. 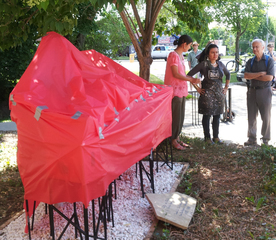 It's truly feeling like a community project and that seems so fitting with the funding model!